Travelling between Downtown Los Angeles and Santa Monica just got easier – thanks to the upcoming launch of a new rail service. No longer will you have to navigate the city’s labyrinthine roads to escape the freneticism of Hollywood Boulevard in order to take a stroll along the Pier. 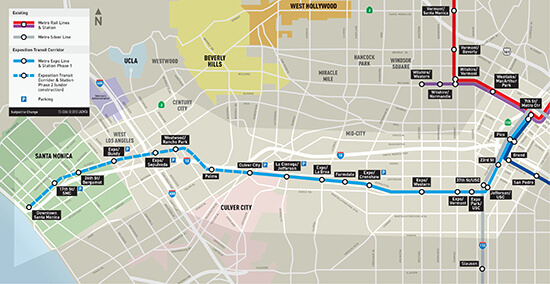 As of May 2016, the brand-new Expo Line (complete with parallel bikeway) will whizz passengers between the two hubs in just 46 minutes – even at rush hour! Serving Downtown Los Angeles, Pico is walking distance from a range of events venues – our favourites are the Staples Center, the Los Angeles Convention Center and LA Live, an entertainment complex that’s home to bars, ballrooms, concert theatres, restaurants and cinemas aplenty. In a nutshell: you’ll never get bored here. 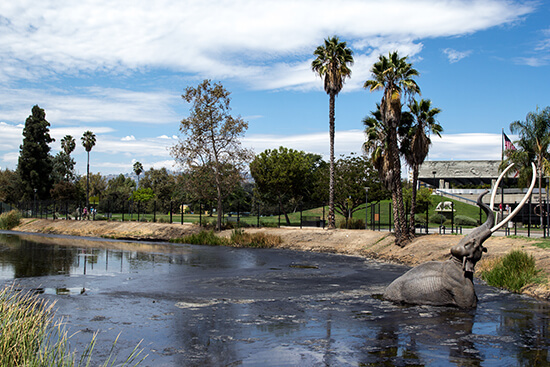 As the name suggests, Expo/La Brea is just a stone’s throw from the famous La Brea Tar Pits and Museum. This unique spot, where bitumen has seeped and bubbled from the ground for tens of thousands of years, poses a great opportunity to explore prehistoric Los Angeles. 11,000 years ago the area was home to a plethora of wildlife; learn about the American mastodon, a distant ancestor of the elephant, the iconic saber-toothed cat and the 400+ dire wolves that were found trapped in the asphalt. A Tar Pits Passport – including museum admission, as well as the Ice Age Encounters and Titans of the Ice Age 3D shows – costs just US$19pp. 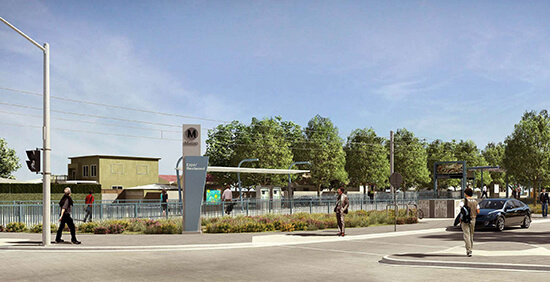 The Culver City Expo Line stop is in the heart of the bustling city of the same moniker, a motion picture hub home to MGM Studios (now Sony Pictures Studios). It’s also a great spot for a bit of retail therapy thanks to Westfield Culver City. Consider a stay in the landmark Culver Hotel for a slice of twenties glamour – this 1924 property was once owned by John Wayne and its past guest list includes Hollywood icons like Clark Gable and Greta Garbo. For a flavour of LA at its most suburban, disembarking at Westwood/Rancho Park is a must. The tree-lined, street lamp-peppered Rancho Park is one of the only places in the city and its outskirts where you can catch a glimpse of the fall colours and see people go about their day-to-day lives. Linger a little to explore the Westside Pavilion too. Just a short walk away, this laid-back mall is home to over 150 shops (including Macy’s) and a 12-screen cinema. 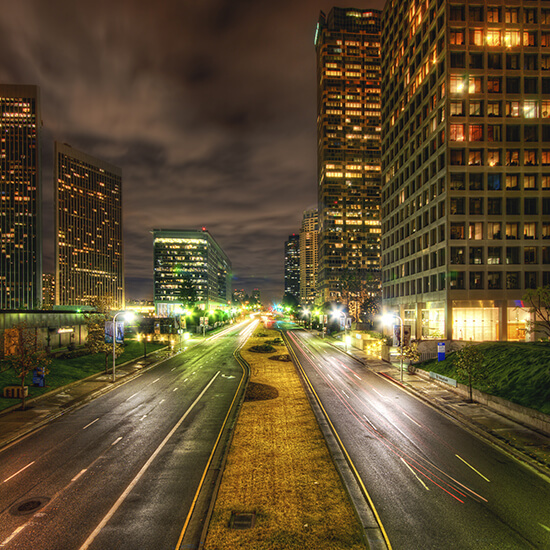 Expo/Bundy is located just south of Olympic Boulevard, a major road in LA. From here you can seek out The Grammy Museum, double back to the LA Live complex or stroll around Sammy Lee Square, named after an inspirational diver who was the first Asian-American to win an Olympic gold medal for the US. End of the line – all change! Downtown Santa Monica is the final stop that will be created as part of the Expo Line’s second phase. And undoubtedly the architects have saved the best for last. Step off the platform and you’ll be greeted by warm sunshine, a gentle sea breeze, laid-back oceanfront bars and restaurants, and of course the iconic Santa Monica Pier. This is the city's biggest highlight, where you can be a big kid again on Pacific Park’s 13 amusement rides, including the world’s only solar-powered Ferris wheel, before relaxing on the beach. 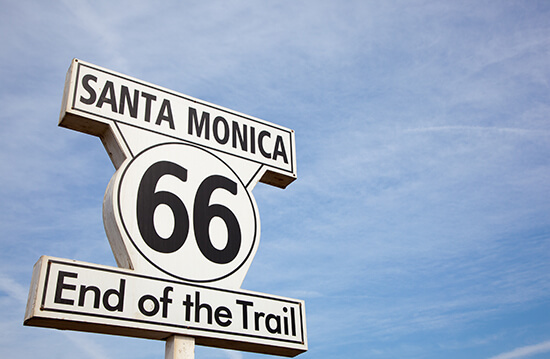 If you’ve spent most of your California trip driving, make sure you mark the end of your road trip with a photo in front of the legendary ‘End of the Trail’ Route 66 sign on the Pier. 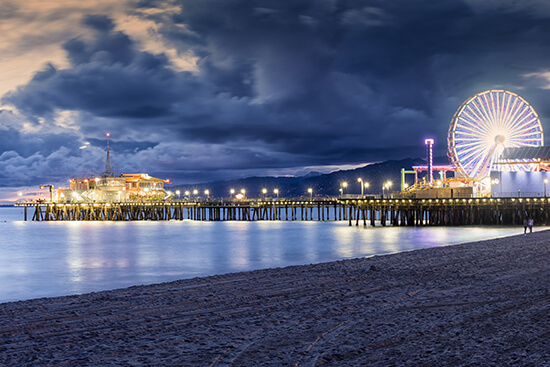 Need help planning your trip to Santa Monica? 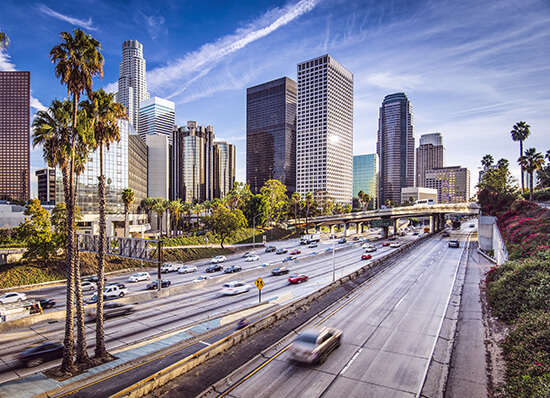 Speak to one of our Travel Experts about our range of Los Angeles holidays.